Despite being a mixer and an amplifier in a single unit, the EMX2's dimensions (37.5cm x 22cm x 15cm / 14.8" x 5.8" x 8.7") are surprisingly modest, making it easy to fit along with speakers even in the trunk of a small car. The lightweight body also features handles for a superior level of portability that will benefit anyone setting up a PA for applications where time is a consideration. The EMX2's flexible connectivity allows you to use up to 4 microphones for singing along with musical instruments, or speaking/ making announcements along with BGM or recorded audio from a portable playback device. 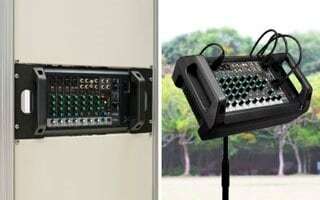 The unit also comes equipped with Phantom Power and high-impedance input capability allowing you to use high-performance condenser microphones or connect guitars directly without any external gear. 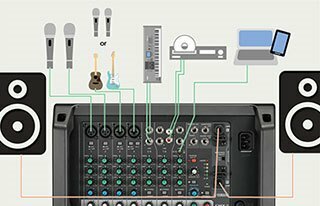 And because the EMX2 is also an amplifier, you can easily connect passive speakers to complete your sound system, or even add a Yamaha DXS Series Powered sub-woofer via a single connection, for configuring a PA system for applications that require a more prominent bass performance, such as a DJ event in a small club or outdoor venue. 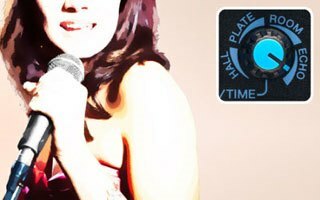 For decades, the sound specialists at Yamaha have been developing high-quality reverb effects to add an atmospheric touch to our users vocal and instrumental performances. The EMX2 features someof the most commonly used and practical reverb algorithms, using a single knob to easily select and control the depth for one of four effects; HALL mimics the sound characteristics of a large hall, PLATE for a more classic, defined sound, ROOM adds a more intimate sound to performances, and ECHO gives instruments or vocal a more professional edge, as well as being an attractive option for KARAOKE. 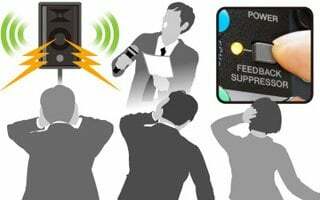 Few things make a live performance or speaking engagement take a negative turn like the sudden, uncomfortable, and often embarrassing howling of unwanted feedback. Luckily the EMX2 comes equipped with a Feedback Suppressor that utilizes a unique Yamaha digital technology to instantly eliminate annoying feedback with the single switch of a button. For adding the final touch to your mix, the EMX2's 1-Knob Master EQ™ lets you apply optimized EQ settings with the simple turn of a knob. 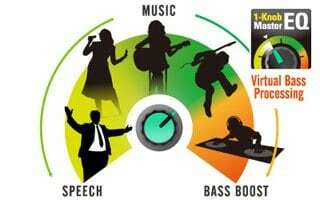 The SPEECH setting is geared towards meetings, seminars, or conferences with a limited lower end for clear, defined speech; MUSIC offers a more balanced sound tailored to acoustic or band performances; and BASS BOOST is ideal for DJ performances or audio playback that puts a priority on emphasizing the base sound. Using an optional rack-mount kit, you can seamlessly add the EMX2 to a rack configuration or and existing installed application. You can even mount the EMX2 on a microphone stand using a simple mic-stand adaptor, giving you quick, convenient, manual control of all the relevant features.